Are you looking for a health plan that is biblically based and scientifically proven? The Maker's Diet is just that. 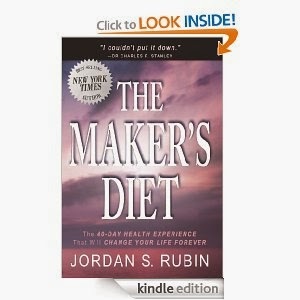 Using a truly holistic approach to health, this groundbreaking book leads you on a journey that will change your life. Hardcover (used) from $.01 at post time.